June 5, 2013 – Reaction to EAA Vintage Aircraft Association’s Round-Engine Rodeo plans at AirVenture 2013 has been extremely positive, according to VAA Director Steve Krog, one of its main organizers of activities both in Oshkosh and at the pre-convention staging area, Hartford Municipal Airport. Steve also serves Vintage as Chairman of the Past Grand Champion Circle, Type Club Chairman, and organized the exciting “Cubs to Oshkosh” event last summer. Welcome! The “Good ol’ Days” are returning, at least for a week! That’s right. 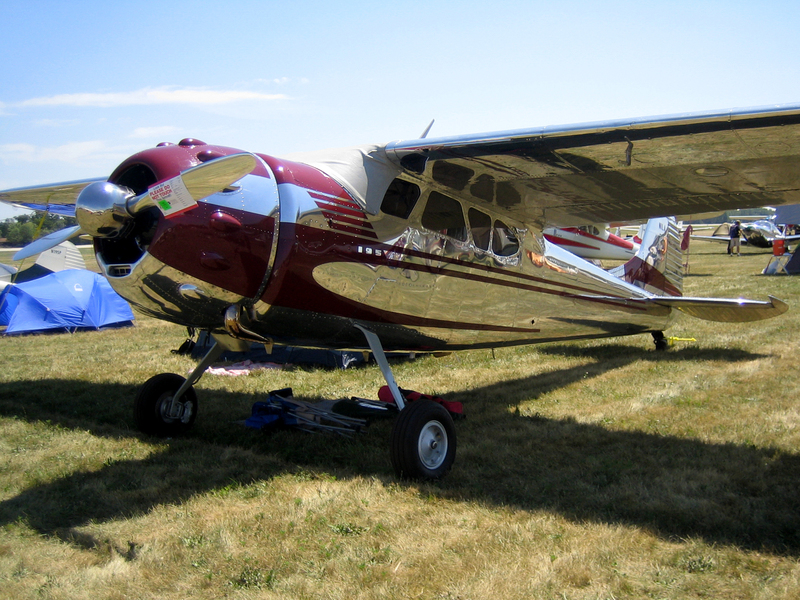 For one full week from July 29 through August 4, 2013, the U.S. skies will be filled with the beautiful rumble of round-engine-equipped airplanes en route to Oshkosh. The Vintage Aircraft Association (VAA), serving as the official host for this historic event, is inviting the round-engine universe to attend and participate in EAA AirVenture Oshkosh 2013. All owners, pilots, and enthusiasts of round-engine aircraft are formally invited to fly their beautiful airships to Oshkosh and participate in this event, a weeklong gathering to get together with others who share the passion for these fantastic old airplanes and engines. Click here to download a printable Round Engine Rodeo Pre-Registration sheet. “The excitement is really building,” he said. “We’ve heard from several people with new or nearly complete restorations as well as other unique aircraft who plan to attend.” Although he did not want to announce any airplanes before confirmed, Krog noted that “an airplane appearing on the cover of the March Sport Aviation” is expected to be here. 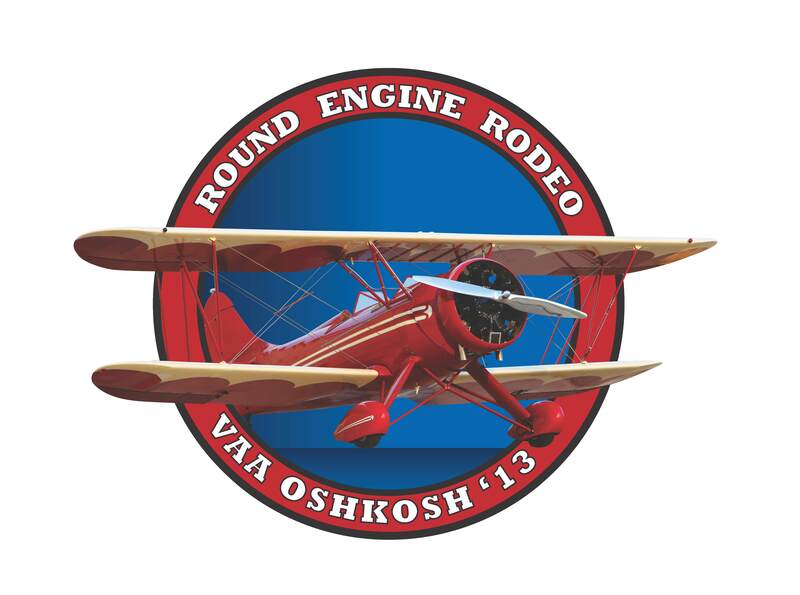 The Round-Engine Rodeo is being billed as a “special round-up of classic radial-powered planes in the Vintage area.” Participants will receive special handling, parking, and a package of incentives for pilots. Special handling and parking will be provided to all who fly their round-engine aircraft to Oshkosh. The VAA is working on an attractive package of incentives provided to all who fly these beautiful round-engine aircraft to Oshkosh. Watch for further details. Each day of AirVenture a different round-engine make-and-model aircraft will be featured at VAA Center Stage (in front of the VAA Red Barn and Vintage Hangar). Interviewer extraordinaire Ray Johnson will conduct a live interview with the featured aircraft owner/pilot. Guided tours through the round-engine parking area will be conducted by knowledgeable VAA volunteers. A proposed turf runway for arrival is being developed for those that might want or need to use it. One full day of AirVenture will be dedicated exclusively to the recognition and display of these airplanes in the Vintage area. Period costumes worn by the pilots/owners are suggested and welcome. That day, while not confirmed, could be Tuesday, July 30, as a “chuck wagon round-up” is planned for that evening, featuring dinner at the Vintage area’s Tall Pines Cafe. Attendees are asked to come in period dress for the occasion. The weekend prior to the opening of AirVenture—July 26-28, the Hartford airport (HXF) will serve as a gathering point and rest stop for all. HXF features two turf runways as well as one hard surface runway. HXF is located approximately 45 miles due south of OSH. Fuel, both 100LL and 92 octane auto, will be readily available at a very competitive price. Food, refreshments, camping, motels, transportation, and entertainment will be available to all. Last year 154 aircraft and more than 300 people gathered at HXF to partake in the pre-convention weekend activities—a great relaxing time enjoyed by everyone! 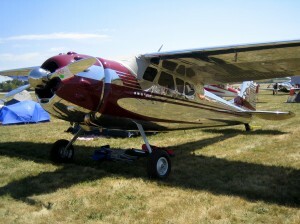 Start making plans for attending EAA AirVenture 2013 and playing an active part in all the activities in the Vintage area. Please download and print the pre-registration form, fill it in and mail it to us. It will help us make plans for Hartford, and for Oshkosh as well.